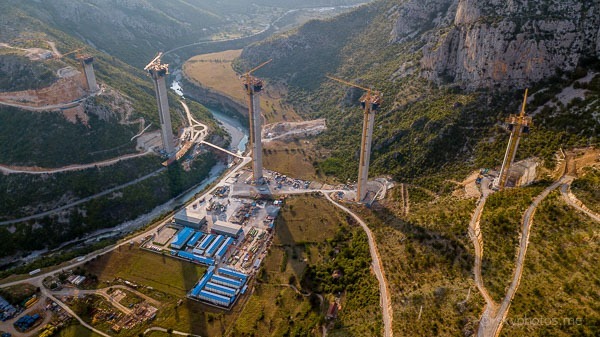 Podgorica, (MINA-BUSINESS) – At a meeting with Prime Minister Dusko Markovic, held in Dubrovnik, President of China Communications Construction Company (CCCC) Liu Qitao said that construction of the first section of the Bar-Boljare motorway would be completed in mid-2020, adding that this deadline would be met. According to a press release issued by the Government’s Public Relations Service, Markovic said at the meeting, which was attended by representatives of the main contractor, China Road and Bridge Corporation (CRBC), that this project was very important for the overall development of Montenegro, adding that the works had to be completed within the defined timeframe. “The motorway connects the country and encourages the development of all sectors of the economy. Furthermore, at this stage, we have indirect investments in agriculture, tourism and other areas,” PM Markovic said. Markovic said that high-quality completion of the works on the priority section would create the opportunities for cooperation and implementation of new projects.